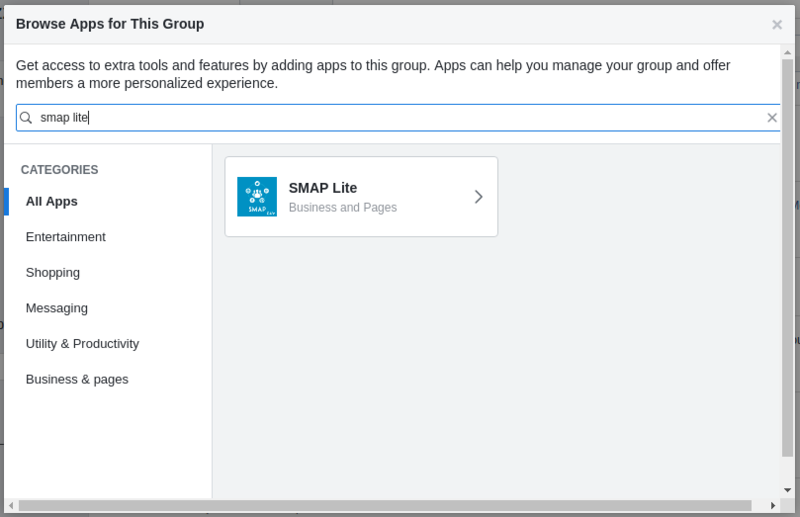 Only group administrators can add or remove apps from a group. 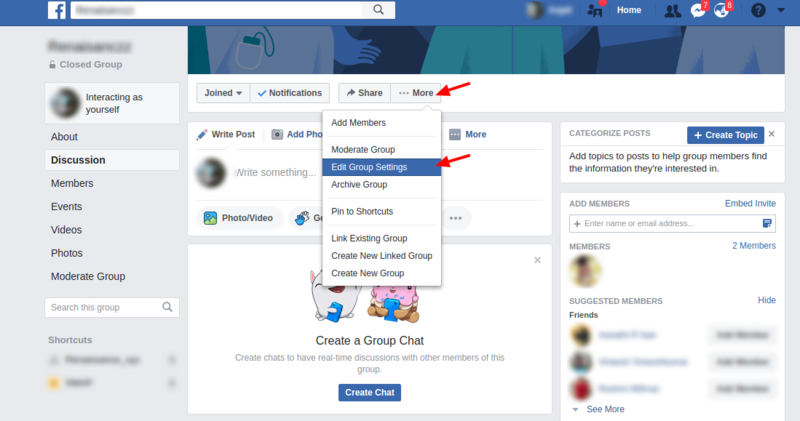 From the news overview in the left menu, click Groups or go to https://www.facebook.com/groups/ and select your group. Under your cover photo click on ￼More button and select Edit Group Settings. Now click on the “Add Apps” button in the Apps section as given below. 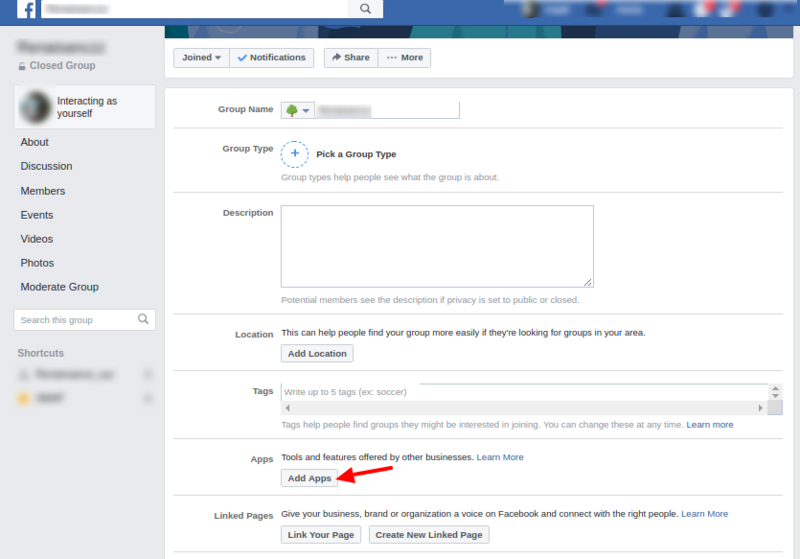 Select the app you want to add to the group and click Add. 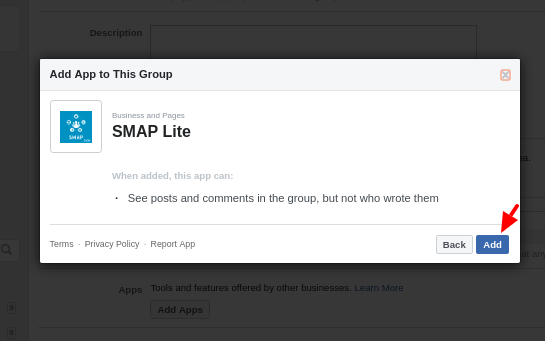 If you are using the smapsolutions app, please select the “SMAP Lite” app. Here select the app and click the add button. Now complete the process by clicking on “Done” button. The app is now added to the group and we can publish to this group using the app. If you have not added the app to your group, it will show the following error message. 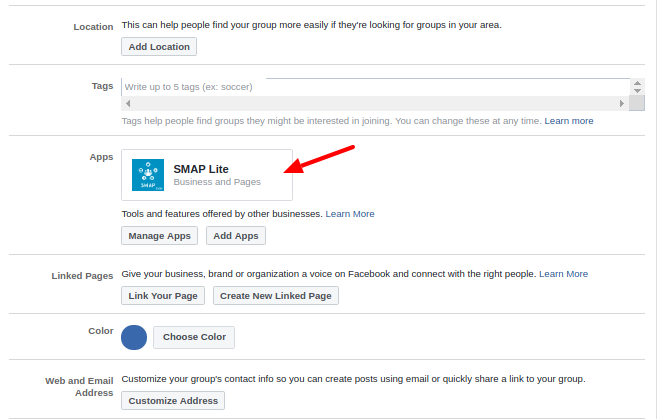 ← How can I submit the business details to facebook for app review?